Biotech is a fascinating sector. Unbridled promise and potential. like steep icy slopes on the way to the summit. Growth, evolving science, and immense value creation potential make the biotech industry an exciting one, while uncertainty, complexity, and volatility make it an unnerving one. Nonetheless, the potential of the biotech sector in delivering incredible investment returns is real and it remains one of the key sectors that powers the market performance. Since the markets recovered from the 2008 Great Recession, Biotechs as a group have outpaced the general market not just well, but very well. In fact, by 2.4 times. So over two-times the performance of S&P 500, with a return of 383% for Nasdaq Biotechnology Index ETF (IBB) compared to S&P 500 (SPY) return of 161%, for the period January 1, 2009, to January 1, 2016. The risk (volatility) assumed in a Biotech investment will always be higher compared to an S&P 500 investment, which is well-diversified across many industries. The volatility or standard deviation over the period was 5.5 for IBB, and 4.2 for S&P 500. Expressed a little differently, an IBB portfolio had to bear 1.3 times greater volatility but had the performance advantage of 2.4 times compared to an S&P 500 portfolio. If you broaden the time horizon even further to include a complete economic cycle all the way to the beginning of 2017, the results are equally compelling. This is after including a major biotech correction during 2015 and 2016. 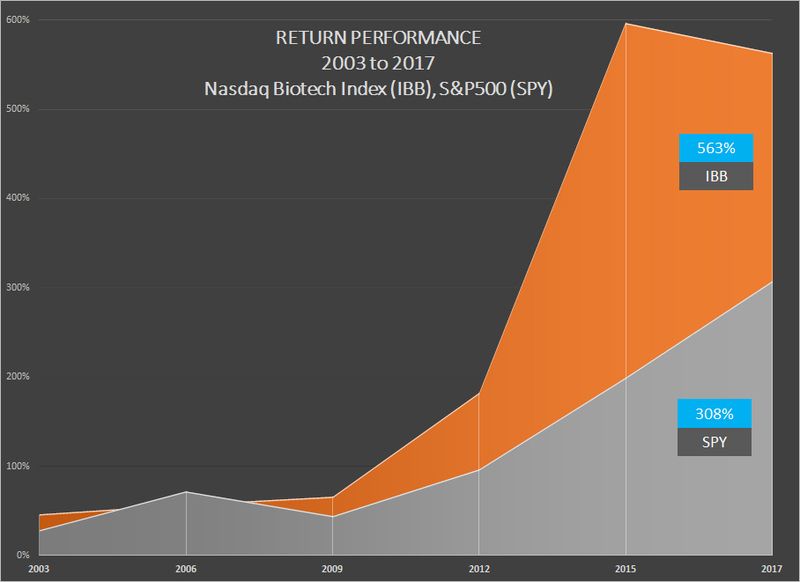 The Chart (click to enlarge) show the performance of the Biotech sector, represented by Nasdaq Biotechnology Index ETF IBB (Orange) compared to the broader market, represented by S&P 500 (Gray), from January 1, 2003 to Jan 1, 2017. The IBB cumulative returns were 563% compared to S&P 500 index returns of 308% during the period, indicating a nearly 2x performance advantage for IBB during this lenthy period. The volatility for IBB was still similar at 1.5x the S&P 500. The Performance section lists out additional risk-adjusted return measures. The Performance Demonstrates You Can't Ignore Biotechs! We decided to match the potential of the Biotech sector with a systematic, model-driven approach. The result was our BioTechQuant model. The BioTechQuant model goes through various stages, crunching the multiple quantitative parameters and rules, processing information on both the biotech sector listings in our database and the broader market variables. After various iterations, the eventual output is a recommended list of the high potential stocks based on our parameters. The 8-stock model portfolio, which we share with you through our monthly Prudent Biotech newsletter, is derived from this list. We know from the charts and table above, the extent of the Biotech outperformance over the broader market. Below, we have overlaid the same chart with the Prudent Biotech Portfolio. The Prudent Biotech model portfolio had a gain of over 37,000% over the same period (click to enlarge). This dwarfs the performances of IBB and S&P 500. 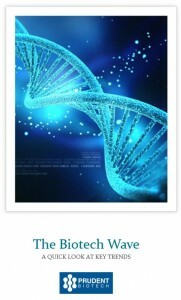 The BioTechQuant model took a great performing sector, Biotech, and created a promising portfolio, based on the parameters, that delivered powerful and compelling results. 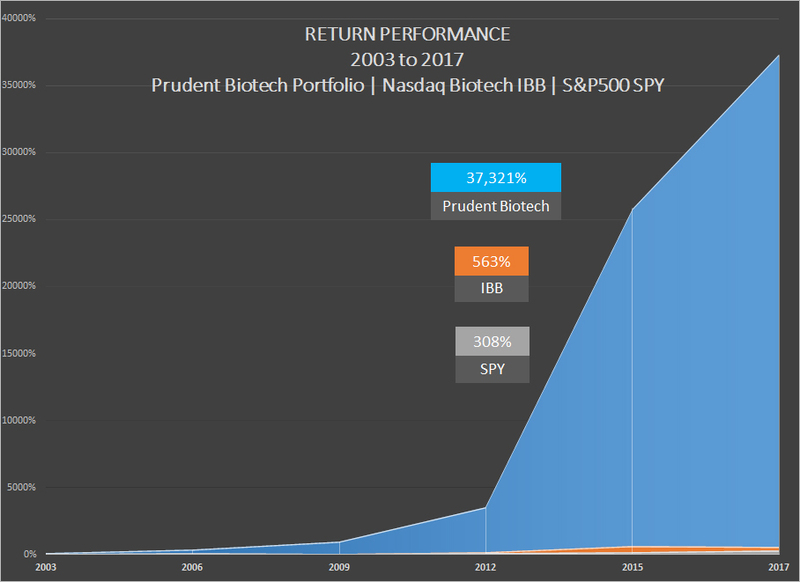 The volatility of the Prudent Biotech portfolio was higher at 1.6 times the volatility of biotech index IBB, but delivered a hypothetical 66 times superior performance over the same period, indicating that the higher-risk assumed was well compensated for in terms of returns. Additional risk-adjusted return measures and related notes are provided in the Performance section. Performance from 2003 to 2015 is backtested, and from 2016 onwards is actual performance of published newsletters. That's right! A $10,000 investment potentially growing to $4 million. Now keep in mind that the exceptional back-tested track record for the model was based on hypothetical trades, and not actual trades. Generally speaking, Biotech stocks have more variable returns and substantially higher risk then the broader market indexes, and the Prudent Biotech portfolio has higher volatility of 1.6 times that of IBB. Furthermore, historical results do not guarantee future performance. Nonetheless, the performance gap is substantial. What is equally noteworthy is the consistency with which the Prudent Biotech portfolio has outperformed. Another thing to point out. You may have observed from the chart that the performance spans an economic cycle, including the treacherous 2008 Bear. During the brutal bear market of 2008-09, when the S&P500 index plunged 55% in a matter of months, the Prudent Biotech Portfolio did not suffer a material decline through the entire Bear market. The reason was straightforward. The models recognized the market risk to be abnormally elevated, and found a scarcity of investing ideas with a higher probability of success. Consequently, the Prudent Biotech portfolio simply exited to the safety of cash. The ability to exit the market is relatively easier for individual investors, compared to institutional investors, and we should leverage that into an advantage during times of acute market stress or a downward trend. What you get is the Prudent Biotech model portfolio with a systematic investing game plan behind it. 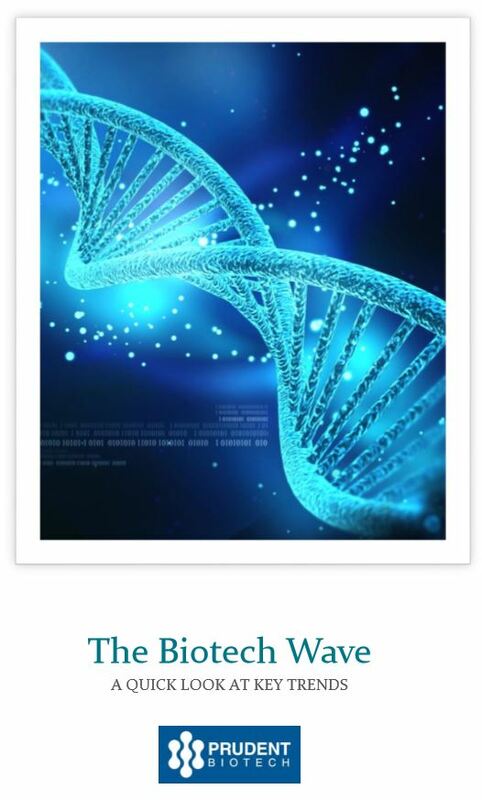 The Prudent Biotech newsletter is a portfolio of up to 8-stocks, almost equally weighted, incorporating the investing rules and quantitative criteria we have developed. The objective is to position the model portfolio to potentially accrue strong returns over time. The systematic investing methodology for the model portfolio incorporates the time-tested investing virtues of patience, discipline, and compounding. Based on your determination of the relevance of this information to your unique situation, you would now have the ability to use a systematic investing approach to invest in the market. The year 2018 is the 3rd year the publication has been open to subscribers. Get Your Bonus Book As Well! Since I'm quite active in the markets, I was sceptic about a hands-off approach. But I've turned around as I see the results from this discipline. Thanks for helping me out! The Best Time to Plant an Oak was 20 Years Ago. How powerful is this old English proverb. You've to start somewhere, sometime. There is no guarantee of future performance. Nonetheless, it should still be noted that various studies and scholars have provided empirical evidence that bolsters the thesis that systems outsmart experts consistently by a meaningful margin. If you feel our system can help grow your portfolio over time, and build the wealth that you wish for, then don't wait! The Decision is Yours Now! While there is no one best system, there is one that works best for you. Once you choose a system, you need to stick with it. 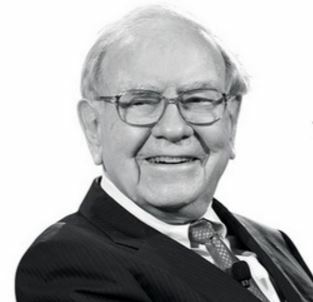 Buffett made the above comment while referring to the card game of Bridge. But his words hold a vital truth for Investing as well. We will make our best effort to provide you with an excellent product to contribute towards your wealth-building goals through disciplined investing. We back this up with our guarantee. If you are unsatisfied, you can cancel at anytime within 60-days of your Payment for a full refund. No questions asked. So you have 60-days to make up your mind without refund worries and see if the product can contribute to your financial goals. After 60-days, no full, partial or pro-rated refund is done. Graycell Advisors, and its affiliates, officers, employees, families, and all other related parties, collectively referred to as ‘Graycell’ and/or ‘we,’ is a publisher of financial information, such as the Smallcap, and Prudent Biotech newsletters. We are not a Registered Investment Advisor (RIA). Historical performance figures provided are hypothetical and unaudited, and based on our proprietary analysis and system performance, back-tested over a period of time. Hypothetical or simulated performance results have limitations, and unlike an actual performance record, simulated results do not represent actual trading and consequently do not involve financial risk of actual trading. The performance results obtained are intended for illustrative purposes only. No representation is being made that an account will or is likely to achieve profit or losses similar to those shown. Past performance is not indicative of future results, which may vary. All stock and related investments have a degree of risk, which can result in a significant or total loss. In addition, biotech sector and smallcaps are characterized by much higher risk and volatility than the general stock market. Information contained herein is general and does not constitute a personal recommendation or takes into account the particular investment objectives, financial situations, or needs of individual investors. If you decide to invest in any of the stocks of the companies mentioned in the newsletters, samples, alerts, etc., sent to you or available on our websites, you can and may lose some or all of your investment. You alone are responsible for your investment decisions. Use of the information herein is at one's own risk. We are simply sharing the results of our model. Nothing should be construed as a recommendation or an offer to buy or sell any securities, and we are not liable nor do we assume any liability or responsibility for losses incurred as a result of any information provided or not provided or not made available in a timely manner, herein or on our website or using any other medium. We cannot guarantee the accuracy and completeness of any information furnished by us. We may or may not have existing positions in the stocks mentioned in our reports. Our models are proprietary and/or licensed, and can be changed or revised based on our discretion at any time without any notification. Subscribers and investors should always conduct their own due diligence with any potential investment, and consider obtaining professional advice before making an investment decision.